Good morning everyone! 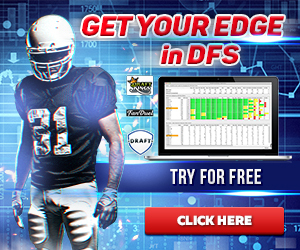 Each weekend, we publish our free analysis of the daily plays position-by-position. If you haven't already tried out Daily Fantasy Baseball, now is the perfect time to take it for a test spin. The beauty of Daily Fantasy is the short-term time commitment (one-day games) and the opportunity to win real money fast. To help aid you in the lineup construction process, below is a free sample of the type of daily content that is published over at Fantistics' sister site, MyFantasyFix. I always recommend starting to build your roster around your favorite pitcher of the day and fill out the rest of the lineup spots based on relative value-to-cost. To make this easier, below you'll find our top plays, value plays, and cheap (or punt) plays.Use this as a guide as you set your lineups for FanDuel and DraftKings. Please also tune in to our show on SiriusXM Fantasy Sports Radio from 10AM-1PM ET on weekend mornings as we discussed values once lineups are announced. Gio Gonzalez vs PHI - Make no mistake, Gio Gonzalez hasn't exactly lit the world on fire this year. For that reason, he's underpriced and he's facing a Phillies lineup that's heavy on left-handed ground ball hitters. He's pitching at home and he's a favorite so he leaves plenty of cap space to pay up for our top hitters. Sonny Gray vs TB - If Gray was at home, he would be my hands down favorite. Unofrtuantely, he is on the road and while I can't say he has struggled while away this year, 9 of his 13 earned runs yielded on the season have come while he has pitched away. Luckily, the Rays aren't elite against right-handed pitching and it's still a very favorite pitching environment. James Shields vs LAD - Without Puig, most of the Dodgers batters are either groundball hitters or are league-average against right-handed pitching. Even though he's pitching on the road, the Dodgers offense has struggled to get anything going at the plate over the last week and Shields has 20 strikeouts over his last 2 games. Michael Wacha vs STL - I can't recommend Wacha as a play on single pitching sites for a couple different reasons. First of all, his strikeout rate has has dipped all the way down to 14.8% this season secondly, the Royals are one of the most patient teams in baseball with a mere14.3% strikeout rate. Trevor Bauer vs CIN - Bauer is always in the conversation as a tournament play thanks to his big time strikeout upside. He certainly doesn't come without risk, unfortunately, because he walks 10.8%of the batters he faces and because of all the walks and strikeouts, he rarely goes deep into games. It would take all the things to break right for Bauer to return big value but he's an acceptable play on multi-pitcher sites or GPPs. Francisco Liriano vs NYM - Pitching at home, Francisco Liriano is an intriguing option on a day when the slate of pitchers is less than inspiring. The advantage that Liriano holds is that he's primarily a fastball and slider throwing pitcher and no one in the Mets lineup hits sliders well and the only hitter who hits fastballs well is lefty Lucas Duda (who struggles against southpaws). Buster Posey vs Chad Bettis - Any time you can get a player with a huge park shift like Posey has on Sunday, he has to be given serious consideration. He already has very strong reverse splits and that success was based on a baseline at one of the most pitcher friendly parks in the major leagues. Now he moves to the most hitter friendly park against a below average starting pitcher. His price has been adjusted upward to account for the park shift but if you can squeeze him into your lineup, he'll provide a nice advantage at the position. Stephen Vogt vs Erasmo Ramirez - If you don't want to spend all the way up for Posey but don't want to punt the position, Vogt is a nice fallback option. Vogt has a wOBA of .351 against right-handed pitching since 2013 and he's averaging 1.82 points per plate appearance on DraftKings where he's a solid value. Yadier Molina vs Edison Volquez - If he plays, Yadier Molina is a tremendous value on FanDuel. Molina has 6 multi-hit games over his 10 games and he's still near minimum priced on FanDuel. He's averaging 0.49 points per plate appearance over there and makes for a nice value play in cash games given his high floor and low ceiling. Wilson Ramos vs Aaron Harang - How Wilson Ramos is still under $3K on FanDuel is beyond my ability to comprehend. Ramos is a very, very good hitter when healthy and he's in a stretch right now where he appears locked in. Ramos had a 19 game hitting streak up until Thursday, but he draws a nice matchup against Aaron Harang today. Miguel Cabrera vs Roberto Hernandez - Miggy is extremely expensive across the industry but he's arguably the top player of the day for Sunday. As I mentioned above, Hernandez throws a lot of fastballs and changeups (neither of which are very good, by the way) and Miggy is an elite hitter against those two pitch types. He has an insane .413 wOBA and 0.967 OPS against right-handed pitching over the past 3 seasons. Brandon Belt vs Chad Bettis - Belt will likely be heavily owned in a great matchup against a righty pitcher with a very favorable ballpark shift. He has a .629 wOBA over the last week and makes for a great cash game play along with the rest of the Giants you are trying to gain exposure to on Sunday. Anthony Rizzo vs Jeremy Hellickson - There are so many great options at the first base position today and Rizzo is yet another really expensive guy that's probably worth ponying up the dough to get him in. Hellickson is extremely prone to the long ball (he's on pace for 24 homeruns allowed) and Rizzo gets a nice park shift to Chase Field for Sunday's game. Rizzo has 3 homeruns in 12 games played in Arizona. Adam Lind vs Mike Foltynewicz - My absolute favorite value at the first base position today is Adam Lind. Lind destroys right-handed pitching to the tune of 2.05 points per plate appearance on DraftKings and 0.71 on FanDuel over the last 3 seasons. He's a flyball heavy pitcher who throws a lot of fastballs, a combination that's ripe for a homerun. To make matters even better, he's priced very reasonably at less than $3000. Freddie Freeman vs Jimmy Nelson - Same game but on the other side of the field is Freddie Freeman who seems to be perpetually under priced against right-handed pitchers. Freeman is an excellent play in cash games thanks to his consistency but he has easily get a hold of a pitch, highlighted by is .914 wOBA against right-handed pitchers since 2013. Jose Abreu vs Kyle Gibson - Abreu is an elite right-handed bat againsr right-handed pitching and while he's been seeing the ball well lately, the power hasn't been there yet. He's obviously seeing some regression after his strong performance last season, but I expect him to bounce back soon and I love this play today. He has an elite 413 avg distance and 105.9 batted ball speed on his homeruns this season so the power and quality hiting is still there and he's in a good spot to bust out on Sunday. Enjoy the price discount on FanDuel. Jason Kipnis vs Rasiel Iglesias - Kipnis is the hottest hitting second baseman in the game right now and he gets another nice matchup on Sunday against Rasiel Iglesias with Johnny Cueto getting scratched. Unfortunately, he's priced appropriately but with starting pitching cheaper across the board today, second base might be a good spot to pay up with the hot-hitting Kipnis. He has a .797 OPS against right-handed pitching since 2013. Brian Dozier vs Jose Quintana - Anytime Brian Dozier faces a left-handed starting pitcher, he's worth considering in DFS leagues. On Sunday he faces Jose Quintana and while he didn't qualify as a curveball heavy pitcher (throws curveballs 22% of the time), he does throw curveballs the second -most frequently outside of his fastball. Plus, Dozier hits curve balls better than any other pitch (wCB/c of 1.2). Dustin Pedroia vs Hector Santiago - Pedroia is an excellent hitter against southpaws, posting an OPS of .832 over the last 3 seasons while averaging 0.63 points per plate appearance on FanDuel and 1.85 on DraftKings. He's also a significantly better hitter in Fenway than on the road, particularly this season when he has hit a .383 wOBA on home compared with .304 on the road. Kolten Wong vs Yordano Ventura - Wong is now batting leadoff for the Cardinals and has been arguably one of the best hitters for Cardinals this season, slashing .310/.363/.465. Wong doesn't strike out much (just a 16.3% strikeout rate) and while he doesn't possess a lot of power, he has a little pop but more importantly, he should be able to get on base and score some runs. Kris Bryant vs Jeremy Hellickson - Talk about a dream come true. One of the best pure power hitters in the game gets to face off against one of the most homer prone guys in the league in the 2nd most homerun friendly ballpark? I literally have Bryant in every single lineup that I'm playing today. Pony up for him because this has dong written all over it. Trevor Plouffe vs Jose Quintana - Well, if you aren't going to buy Bryant, there are quite a few solid value options on today's slate. Trevor Plouffe headlines the group at a reasonable $2,800 on FanDueland $3,700 on DraftKIngs. Plouffe is a strong hitter against lefties like Quinatana and he's an above average hitter against all of the pitches in Quintana's repertoire. He's also getting a favorable park shift to Chicago. Kyle Seager vs Aaron Sanchez - Aaron Sanchez throws fastballs A LOT - 79% of the time to be exact. Seager is more of a hitter against cutters but he still has a respectable 1.00 wFB/c against the pitch since 2013 and he has a .819 OPS against RHP over that same span. More importantly is his low price tag of just $2,900 on FanDuel and $3,800 on DraftKings plus you have to love the ballpark shift to Toronto. Josh Harrison vs Jon Niese - While he's not necessarily a strong tournament play, I really like Harrison as a cash game value on Sunday. He's been red-hot at the plate lately and over the course of the last three seasons he has managed to hit left-handed starters for a .871 OPS, a very good number. Niese is a groundball pitcher but Harrison is also a groundball hitter with speed, a nice combination that can help him get on both (and also why he's not a tournament option - i.e. lack of power upside). Hanley Ramirez vs Hector Santiago - On DraftKings, Hanley Ramirez is still eligible for the shortstop position and he's certainly in the conversation today. He's absolutely elite against southpaws, having a .430 wOBA, 1.008 OPS and averaging 0.82 pts per PA on FanDuel and 2.27 pts per plate appearance on DraftKings since 2013.He hasn't been hitting great lately but the past historical performance is really difficult to ignore. Xander Bogaerts vs Hector Santiago - If you're not playing on DraftKIngs, you may as well just chase value at shortstop on Sunday. Xander Bogaerts was a core value play against left-handed starting pitching a year ago. After a slow start to the year (and an unfavorable lineup spot), he hasn't been quite as hot of a commodity but things might begin to change very soon. Bogaerts has a .472 wOBA over the last 7 days and he's nearly minimum priced on FanDuel. Brad Miller vs Aaron Sanchez - Sunday is the last chance to buy on Brad Miller's favorable park shift for a little while. Like Bogaerts, he's been on quite a roll lately and garnering a favorable lineup spot. Miller has held this own against righties but he doesn't hold tremendous upside either. Either way, you can do a lot worse than spending $2,900 on FanDuel. Bryce Harper vs Aaron Harang - We have to mention him because the matchup against Aaron Harang is phenomenal. Unfortunately, his price tag is already too expensive and he's nearly impossible to play without finding substantial value elsewhere. He's a solid tournament option but I'm hesitant to use him in 50/50s because of what that would do to the consistency factor for the restof your lineup. Ryan Braun / Carlos Gomez vs Mike Foltenewicz - Both Braun and Gomez have been upping their production recenetly and Folty is a heavy, heavy fastball throwing and gives up big percetages of flyballs. I don't mind the Brewers stack today, alrough I'd rather limit my exposure to these two. Bruan has a hard hit% of 35.8% and Gomez;s is even better at 37%. Folty hasn't pitched deep into games so while I love the matchup against him, I can also get on board picking on the Braves' shaky bullpen. Starling Marte / Andrew McCutchen vs Jon Niese - I really like both of the Pirates best two hitters on Sunday with a lefty on the mound. Niese struggles against right-handed hitters (opponents have an OPS that's nearly 75 points higher and both hitters have wOBAs approaching 1.000 against left-handed pitching/ As for McCutchen, he has been lethal against cutters throughout his career and Niese just happens to throw his cutter 24% of the time. Andre Ethier vs James Shields - Ethier is a nice value on both DraftKings and Fanduel at $3,000 and $2,600, respectively, and is always a decent cheaper option when he faces right-handed pitching. He has a .810 OPS versus right-handed pitching since 2013. Seth Smith vs Aaron Sanchez - Speaking of go-to players when the circumstances are right, Seth Smith is almost always that player against right-handed pitching. The Mariners/Blue Jays came is already being projected as the highest game of the day according to Vegas and Smith is a nice cheap way to get some exposure.